Instagram advertising is a great way to get your business in front of new prospects. Instagram is a rapidly growing social media platform, with the number of U.S. businesses using it for marketing expected to grow to over 70 percent in 2017 (according to eMarketer). It’s also already the second most popular social network — after Facebook — with 600 million monthly users. This means that it’s time for you to advertise on Instagram to promote their business. 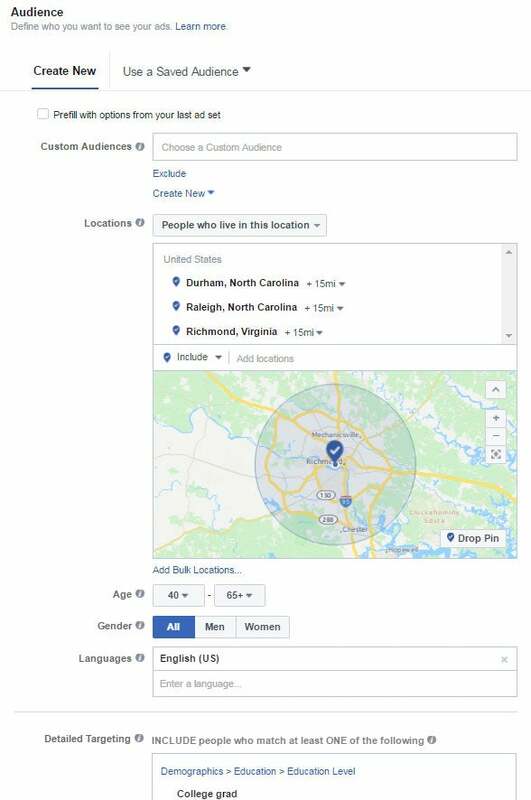 With Instagram’s advanced targeting options, you can inexpensively reach users based on location, age, education level, marital status and more. Want great results from Instagram, but don’t have the time to manage a campaign yourself? Reach out to the experts at Hibu and they will create a social media campaign specialized for your small business. When an Instagram user scrolls through the pictures from their friends, they will see sponsored posts interspersed between the photos. Sponsored posts look almost identical to regular posts, with the only tell being the word “Sponsored” on the top left. A call to action banner will display at the bottom of the image, and you can choose between “Learn More,” “Shop Now,” “Sign Up” and more. When a user clicks on the banner, they are sent to the webpage you designated for the ad. Targeting capabilities: With Instagram, you can target your ads so they only show to users who mirror your current audience. So if your typical customer is a married woman who just had a kid, or a male college student located in Omaha, you can use Instagram’s audience filters to show your ads specifically to people who fit this criteria. High engagement: Since Instagram is strictly a photo sharing app, there is not as much clutter on the newsfeed as there is with Facebook. This leads to much higher engagement with each post. Consumers are 58x more likely to engage with branded content on Instagram compared to Facebook and 120x more likely compared to Twitter. Tracking: You can see how many people see, click and convert after seeing your ad all in one dashboard. This gives you measurable data that helps you understand if your ad campaign is working or not. With Instagram advertising, you can choose between four different types of ad formats: carousel, photo, video and slideshow. You will want to choose your ad type carefully. Each one requires a unique approach — from the photos you choose to your call to action (CTA). Learning the ins and outs will help you get a better return on investment (ROI). Below we will go through examples of each type of ad and point out what the ads did well, and what they could improve on. Photo ads include a single image, plus a call to action banner and a description. The ad below is from a fitness class located in New York. This ad looks similar to other images that people typically post. This keeps the user interested in the message, instead of instantly dismissing it as an ad. It also is a well timed and targeted ad. The beginning of the year is typically when people are trying to get back into their workout grind. Plus, as a woman in her 20s, it is easy for me to relate to this ad. Finally, by sending the user to a landing page with the same image as the post, the brand is creating harmony between the Instagram ad and the web page. This promotes consistency and ensures the user that they were brought to the right place. This ad would work better if the call to action was to sign up for a free class, and linked to a lead capture page. By offering a value to the user, it increases the chance that the user will click on the ad and take the desired action. You can easily create specific landing pages for your Instagram ads with an online tool such as Unbounce or LeadPages. With slideshow ads, you can upload up to 10 images, choose the image duration, and music to play during the slideshow. The slideshow will play on loop, and can be up to 50 seconds. When you click on the “Book Now” call to action, you are sent directly to a page where you can book your reservation. This restaurant does a few things well. Great offer: Free wine is something that this restaurant’s target customer probably loves. This is a good incentive to get people scrolling through their Instagram news feed to stop and click on the ad. Landing page: By linking directly to a landing page where users can book their table, the restaurant is making it extremely easy for the user to complete the desired action. This increases the chance of conversion once someone clicks the link. Tag a friend: Including the mention to “tag a friend” in the description gives the Instagram user the idea to tag a friend who they want to share the free bottle of wine with. Instagram was built to share awesome photographs, and the images used in this ad look sloppily put together. Having a great call to action is not enough, you need to hook the audience’s attention in order for them to pause long enough to see your offer. There’s also a typo in the third image. Make sure you proofread your advertising material, especially if it’s going to be seen by 80,000+ people. Carousel ads are similar to slideshow ads, except for instead of the images playing on a loop, you swipe through the images. This works well for clothing stores, since the user can look at the images that interest them for as long as they like. The downside is that many people aren’t used to swiping through images on Instagram, since only advertisers can create this type of post. So some people might not know that there is more to your ad. Below is an example of a carousel ad from a boutique travel bag company. When you click on the “Learn More” button, you are taken to a page where you can purchase the purse. The boutique uses great, professionally shot photographs. It also has a cohesive concept and look. The bag can be worn in four different ways, and the ad captures the model wearing the purse in all four ways. Plus, you can tell that all of the images are part of the same brand aesthetic. The ad could have a more direct call to action. Right now the button says “Learn More,” but if it said “Shop Now,” it would be clearer that you could click on the button to purchase the bag. Instagram allows up to 60 seconds for video ads. You can include sound with your video, but it’s a good idea to also include captions, since the video will play automatically on mute. Below is a video ad from the job board, Monster. Video ads are great because the moving images immediately grab the user’s attention. By typing out the ad, it generates curiosity about what the ad will say. This often keeps the user interested enough to watch the whole ad. This ad is also a great example of how to promote interesting content, even if your product is not all that interesting or visually appealing. Any type of business can find a spin to put on their product that will engage users. This is a really good ad. However, one suggestion would be to make the description more descriptive of what the user will find if they click on the ad. This is important since some people won’t be patient enough to watch the whole video. Now that you know the different types of ads that you can promote on Instagram, you’re probably wondering how you can create your own ads. The good news is that creating awesome content doesn’t require a full creative team. However, using an Instagram filter isn’t enough. You should use other tools to make sure your ads are engaging and look professional. Luckily, there are tons of free tools you can use to do this on your own, with no technical expertise necessary. Here are our top picks for tools to use based on which type of ad you are trying to create. If you want your photos to stand out, it’s best to use a program outside of Instagram to edit your images. VSCO uses subtle filters to enhance the natural beauty of a photo. You can also do manual adjustments to fine-tune your image in various ways, including exposure, color, sharpening, cropping and perspective. Learn more with this in-depth guide to using VSCO for shooting and editing your images. Layout from Instagram: With this app, you can quickly create a collage from multiple photographs. Canva: This tool is a quick and easy way to resize your images so that they are the ideal size for an Instagram post (600 x 600 px). You can also use the site to add text overlay. Flipagram is a free app where you can easily piece together photos. You can add text, music or other visual effects to help your slideshow stand out. It’s a great way to take your photos to the next level by creating a moving presentation. PicPlayPost: This app combines collages with video. You can have up to six different sections of your Instagram post displaying different videos and/or images. With this free software, Spark Video from Adobe, you simply choose one of their story templates, add your photos/videos and record a voiceover. You can also use the software to edit existing video. The platform allows you to clip the video, add overlay text or images and add background music. Hyperlapse: This app helps you create polished time lapse videos. Boomerang is a simple way to make a video more interesting. It plays your video first, and then plays it backwards. This goes on loop. It may not sound like much, but when done right, this can be quite entertaining. When creating your social media advertisements, remember that Facebook and Instagram serve different purposes. Therefore it’s likely that a post that has worked well for your Facebook page may not do as well on Instagram. Users come to Facebook for multiple reasons (read interesting articles, connect with friends and family and see funny/interesting posts in their newsfeed). Instagram is more straightforward. People use the site to see visually pleasing photographs. There’s also a difference between the amount of space you have for text. 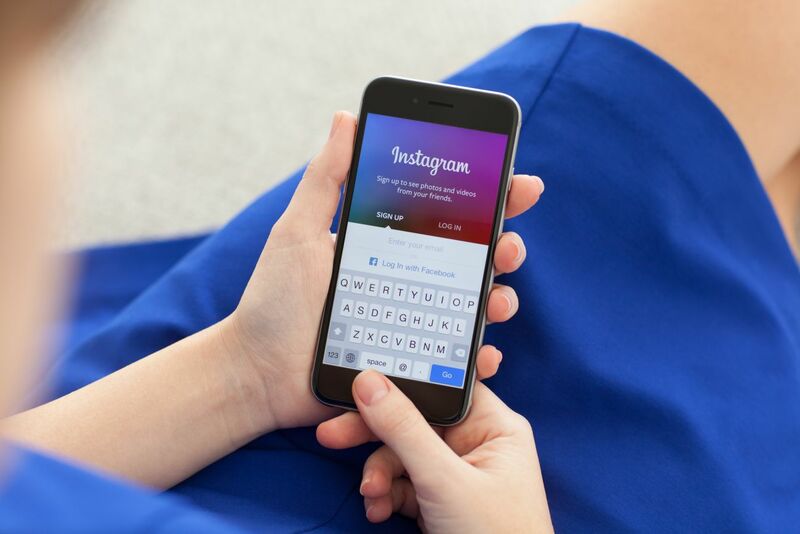 According to a report by Nanigans, an advertising automation software, the average Cost Per Click (CPC) for Instagram advertisers is between $1-$2. This mean that if 100 people click on your ad, you will pay between $100-$200. However, the costs vary widely depending on the quality of your ad, your industry and the size of your audience. Cost does not vary based on your ad type, so the cost to run a photo ad is the same as running a video ad (if all other factors remain the same). If you are familiar with Facebook advertising, you’ll be happy to know that the way Instagram charges you to run ads is exactly the same as Facebook. This is because Facebook acquired Instagram back in 2012. The basics are that you choose what you spend each day, or during the set time that your ad will run. You can then choose whether to be charged based on how many users click on your ad, or how many people see your ad. View this guide to learn more about Instagram ad costs. Since Facebook acquired Instagram in 2012, you set up your Instagram ads using Facebook’s platform. All you need to start running Instagram ads is a Facebook page for your business. If you don’t already have one, learn how to create a Facebook business page in seven steps with our how-to guide. Navigate to the top left of your Facebook page and hit the “Create Ads” button. Boosting brand awareness: Increasing brand awareness is about telling people what makes your business valuable. Go with this option if your business is unfamiliar to the people you are targeting, and you need to get across what your brand is about in your ad. Driving traffic to your website or app: If your goal is to drive more traffic to your page, you will want to give people a reason to click on your ad. By giving an enticing offer, you can increase the chances that someone will visit your website. Lead generation: This is a good option if you want to get more email addresses and/or phone numbers to add to your marketing or sales list. This objective works well with digital advertising since you’re not asking the user to fully commit to purchasing, just to give their contact information. Think about what goal you want to achieve before you start running a campaign. This is an important step because your ad copy and landing page all hinge on your marketing objective. After you choose your marketing objective, you’ll need to choose the audience that you want your ad to show to. Create your audience based on your ideal customer. You can use filters such as location, demographics, education level, buying history and more. Read our article on how to create a customer profile to learn more. Technically, you can run the same exact ad on Facebook and Instagram at the same time. However, this is not advised since they are different platforms, and therefore different types of ads will be successful on each account. You will need to edit your ad placements to ensure that your ads only show to Instagram users, and not Instagram and Facebook users. To do this, simply uncheck all of the boxes except for the Instagram box. Set a budget that you are comfortable with. You can start small ($5/day) and then increase this once you have more information on which ads and audiences perform the best. Increasing your daily budget will increase the number of people who see your ad. You will want to link your Instagram account to your Facebook page. This is easy to do, you just need to click the “Add an Account” button and enter your Instagram login information. Though you can run Instagram ads without an Instagram account, I strongly advise against it. If someone who see your ad wants to learn more about your business, they won’t be able to click on your name to learn more. Plus, you won’t be able to respond to comments on your ad. Learn how to set up your free Instagram account here. Now it’s time to create your ads. Simply choose whether you want to run photo, video, slideshow or carousel ads and then upload your image(s) or video. Choose your call to action: Examples include Book Now, Contact Us, Learn More, Shop Now, Free Trial and Sign Up. Enter the website URL: Make sure this page is optimized for mobile, and that it corresponds to your ad. If you are promoting a specific part of your website or a specific landing page, send people to that page, and not the homepage. Put in a description: There’s no limit to the number of characters you can put here, but only the first 150 will show and then there will be a “more” button. People don’t typically read long descriptions. So keep it short if possible. It’s time to place your order! Once you do this, you will be able to make edits to the post at any time. Let the ad run for a few days, but keep a close eye on it to track performance. You will be able to do this through Instagram’s reporting dashboard which is located in Facebook’s Ads Manager. Reach: Also known as impressions. This is the number of people that your ad is shown to. Click through rate (CTR): This metric is the number of clicks on your ad divided by the reach (number of people your ad is shown to). The higher your CTR, the better your ads are performing. Cost per click (CPC): This is the amount you are paying for a user to click on your ad. If your CPC seems high (more than $5), consider changing your ad copy to make it more relevant to your target market. Unless you set a lifetime budget for your campaign, your ad will show continuously until you pause it. So make sure to check up on it, or else you may spend more money than you intended to on your Instagram ads. Instagram advertising is a great way to get your business in front of new prospects. Though it’s not always easy when you’re just starting out, it can also be fun. Get creative with your photo and video ads to engage more users with your content. Adding a strong call to action and enticing offer to your creative will increase the chances that your prospective customers will take the desired action.